Have you ever wondered why you don't feel entirely alone even when you are? Maybe it's because you really aren't. And if you attune yourself to that being of light that resides beside you, behind you, and in front of you, you will meet your constant companion, whose sole purpose is to guide you through life: your very own Guardian Angel. The time spent with your Guardian Angel here on earth can help you to reap great benefits during this lifetime. Denny Sargent writes, "In my academic and personal research, I came upon the concept of the Guardian Angel a number of times over the years. 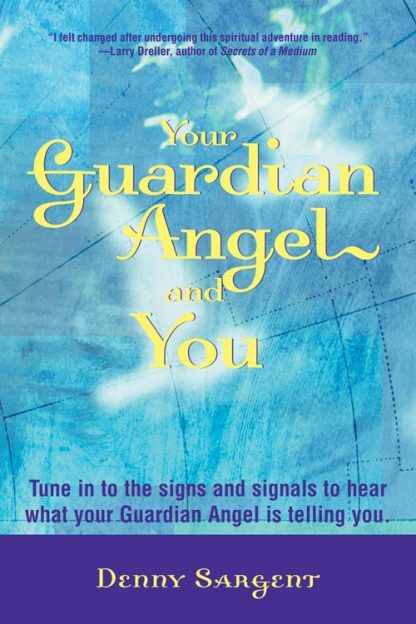 I was amazed to discover instructions on how to "meet" your Guardian Angel that were thousands of years old. This changed my entire life. I no longer had to look to others for spiritual authority or wisdom. Then I discovered that every culture had within it the concept of a Guardian Angel or Guardian Spirit, or Ally. The idea transcends time and culture; it is universal. I felt that this "secret" should not be left hidden and obscure but should be dusted off, simplified, and offered to all." Your Guardian Angel and You is a thoroughly intriguing read about the fascinating history of the Guardian Angel, why you need one, and how to prepare to meet yours. In fact, if a feeling of dread ever kept you from taking a turn down a certain road, getting in a car, or taking a certain flight, you may already have met your Guardian Angel. Once you establish, nurture, and expand your relationship with your Guardian Angel, you can expect terrific things in return. Ask specific questions and receive specific answers. Define and refine your dreams. Lean on the wisdom and insight of your Guardian Angel to give you a form of heaven on Earth right now where your dreams can be lived.